U.S. wireless carrier Sprint's parent company, SoftBank Group, is reportedly looking to back out of merger talks with T-Mobile after company executives raised concerns over losing control of the resulting entity. Citing sources familiar with the matter, Nikkei reports SoftBank will propose a halt to merger negotiations on Tuesday, a move that could quash plans to integrate America's third- and fourth-largest cellular providers. According to the source, SoftBank held a meeting last Friday to discuss the current agreement, which granted T-Mobile parent Deutsche Telekom a controlling interest in the combined entity. SoftBank was initially responsive to the terms, but executives urged CEO Masayoshi Son to reconsider ceding control of one of one of its largest assets, Reuters reports. 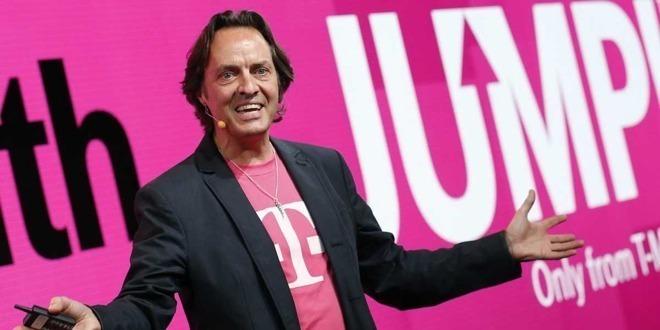 Multiple reports claim T-Mobile owner Deutsche Telekom negotiated to own a majority stake of the combined company, leaving SoftBank with a minority share between 40 and 50 percent. If the deal falls apart, it will mark SoftBank's second failure to join the two telcos. The Japanese technology giant attempted to purchase T-Mobile in 2014, but opposition by government regulators prompted SoftBank to scrap the deal. Antitrust watchdogs squashed a similar bid for T-Mobile by AT&T in 2011. SoftBank has been keen to challenge Verizon and AT&T's duopoly over the U.S. wireless industry. Though it has been gaining subscribers, T-Mobile is still lags behind No. 2 AT&T, and Sprint is in an even weaker position. A merger would not only bolster the firms' combined customer base, but allow the new entity to conduct more efficient network investments. The turn of events comes after rumors earlier this month suggested a tie-up was all but complete. Sprint and T-Mobile had agreed on major facets of the merger deal and were working toward a potential announcement in time for earnings at the end of October, Bloomberg reported at the time. The publication noted that an announcement would likely be pushed back to November, as the companies were still hammering out final details.